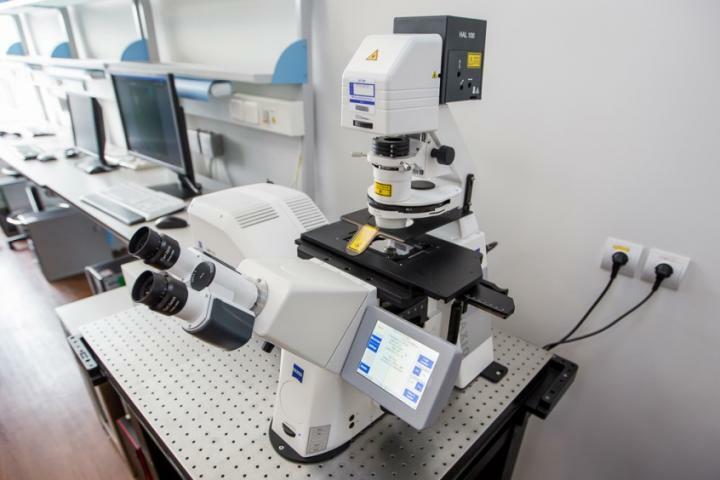 Applying the new method, technologists and materials scientists will be able to quickly, accurately and without destroying the studied objects to obtain information about the microstructure and functionality of transparent materials – single crystals, glasses, and ceramics. The article on that is available online on the site of the Journal of Alloys and Compounds. Scientists of the Far Eastern Federal University (FEFU) have used a unique mathematical model to calculate the data of 3D images of defects in the volume of transparent functional materials. The initial set of experimental data was obtained via confocal laser scanning microscopy (CLSM) – a special type of light optical microscopy. The solution is of a high importance for technologists and materials scientists and became possible through the close cooperation between scientists from different departments of the School of Natural Sciences and the Research and Education Center (REC) “Nanotechnologies” of the FEFU School of Engineering. “The functional characteristics of transparent materials (crystals, glasses, ceramics) are largely determined by their residual porosity. Thus, the laser efficiency of ceramic samples is the same as for commercial single crystals and glasses if residual pore concentration falls below According to the co-author of the work, Alexander Zakharenko, there are several techniques currently known in the world allow visualizing the volumetric structure of materials. Among them are X-ray computed tomography (CT), focused ion beam tomography (FIP), confocal laser scanning (CLS), etc. However, CT method requires a synchrotron radiation source, and the FIP is destructive for the object under the study and does not allow to probe the same area twice. “The non-destructive CLSM method, which we develop in FEFU, allows us to qualitatively and quickly characterize a transparent material with the construction of a 3D model for the defects distribution in its volume. By varying the wavelength of the applied laser radiation, we can control the possible scanning volume of the object and the size threshold for detecting defects – from tens of nanometers to several microns.” Went on Alexander Zakharenko, a senior researcher at the REC “Nanotechnologies” FEFU. Another co-author of the work, Alexey Zavjalov, said that all known visualization methods provide only a qualitative assessment of the microstructure of materials. A key issue for the FEFU team was the development of a correct method for quantifying the porosity of transparent materials using microscopy data. “It’s necessary to clarify that the micrographs provide information just about a certain cut of the sample. However, the pore sizes at the cut do not reflect their real size. If one uses a spherical approximation, the pore size on the cut will coincide with the actual size only if the cut will pass exactly through the pore’s center. However, for the vast majority of pores, the cut will pass either above or below their centers. We also took into account that sections of equal size can be formed for pores of different diameters. These judgments were the basis of our mathematical model of restoring the distributed pore size in the material according to the experimental data of their sizes at the sample’s cut. ” Added Alexey Zavjalov, a researcher at the FEFU Academic Department of Nuclear Technologies. “By applying CLS microscopy in combination with the original method of experimental data calculating, we learned how to correctly determine the quantity and size of porosity of transparent functional materials. In particular, using the example of laser ceramics 1-4 at% Nd3 +: YAG with a known level of functionality, we compared our approach to the world’s known methods and showed its maximum efficiency. As a result of our work, it became possible to retrieve characteristics of high-density objects at a new level, thereby enhancing the precision of the technologies of their creation.” Concluded the head of development Denis Kosyanov. The results of the work were published in the Journal of Alloys and Compounds.